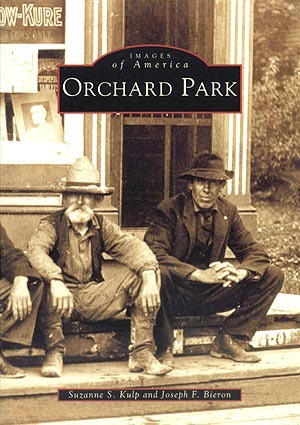 Attracted by fertile soil, lush forests and abundant water, the first pioneer arrived in the Orchard Park region in 1803, making this one of Western New York's earliest settlements. Prominent among the settlers were the Quakers, who built a meetinghouse that is still in use today. Suzanne S. Kulp and Joseph F. Bieron have written a book that depicts the history of the community through its citizens, their homes and their businesses. Many of those thriving enterprises were at Four Corners. More than 250 photographs, maps and other images are supplemented with revealing, fact-filled captions. The result is a 128-page book produced by Arcadia Publishing that is a tribute to one of the Buffalo region's historic communities.